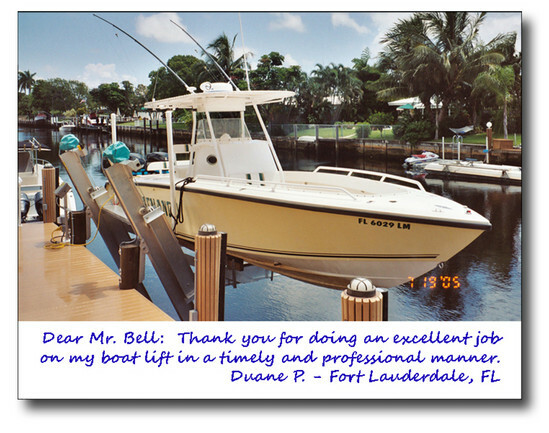 East Coast Boat Lifts was founded in 1990, still family owned and operated. Over the years we have developed a line of Boat lifts that is of the highest quality, custom fabricated and very reliable. Each boat lift is fabricated with pride producing a boat lift that will give years of peaceful service. Our direct drive units are best in the boat lift industry. Check out our great line of boat lifts products. Call us at (954) 772-6810 or email us if you have any questions about features, options, or installation.